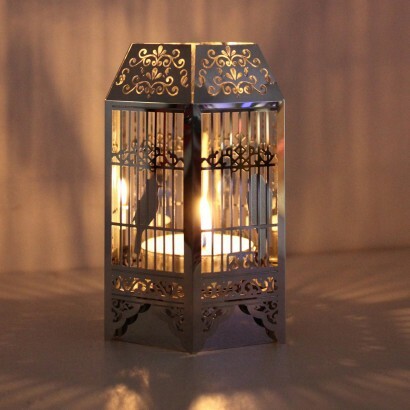 This beautiful candle holder is a precision cut piece of stainless steel with a high mirror polish. 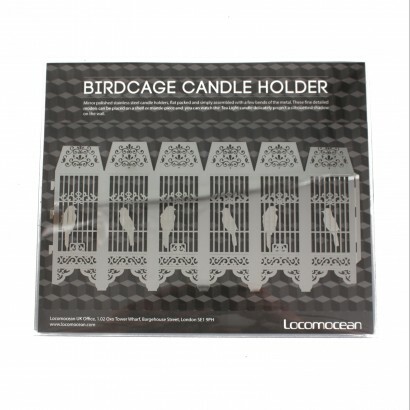 With a few simple folds (arrives beautifully flat packaged ideal as a gift) you can create an intricate laser cut tealight holder that casts relaxing soft projections of a bird in a birdcage onto your wall. 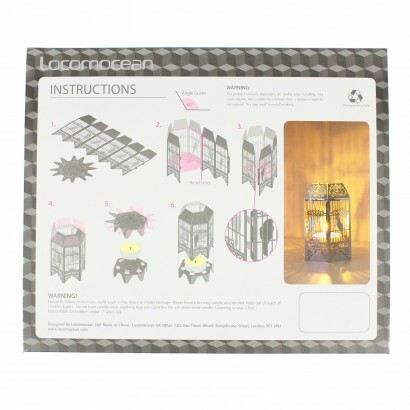 Once assembled the holder is approximately 10cm high and 7cm wide. Care should be taken when assembling, the steel is so fine it could be sharp if not handled responsibly!